Oh what a jolly post this is! This weekend we finished putting the Christmas decorations up in our house, and for once, it wasn’t a mad and stressful event. Last year I purchased lots of cute decorations in the Boxing Day Sale (House of Fraser and Paperchase sales are fantastic!) and organised all the decorations into boxes so everything was there ready to be hung out this December. 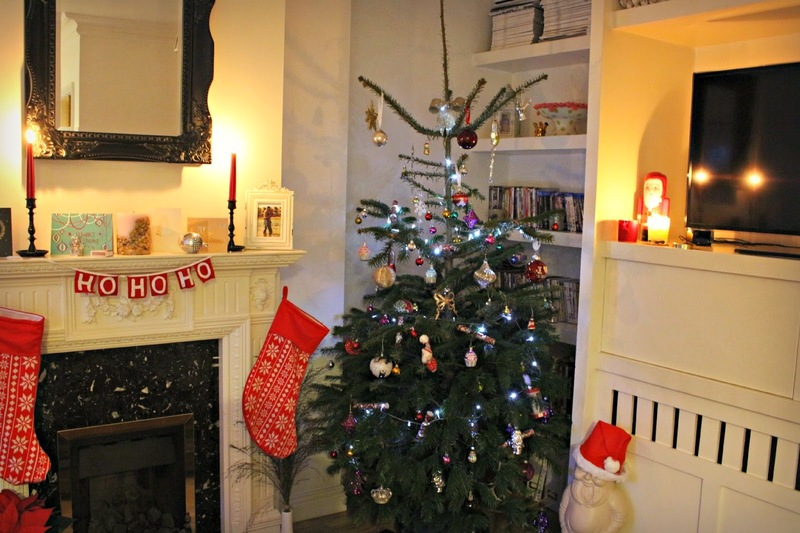 As for the tree, living in London without a car can make tree buying a little tricky, so when I heard about Pines & Needles, who deliver premium trees to your door, I was overjoyed! These are some of my favourite decorations. 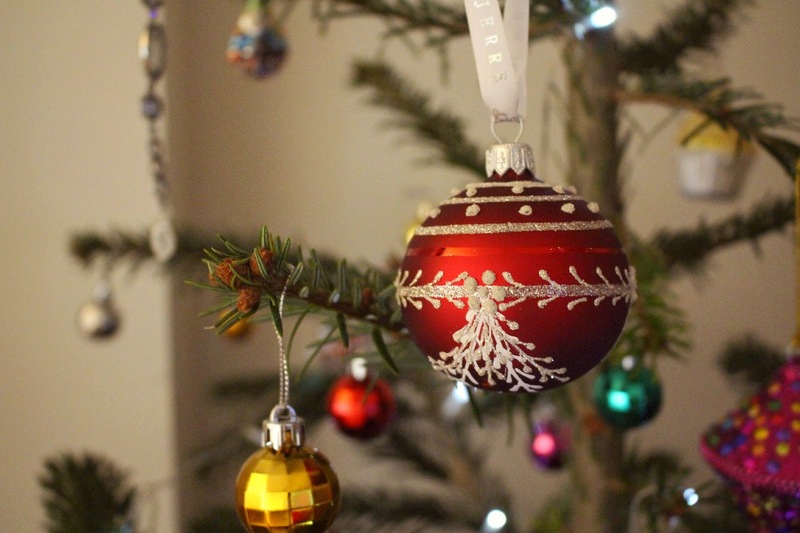 We never stick to a colour code for the baubles or anything, but prefer to collect decorations which we love! The four tree decorations above are from a boutique in the Lake District, called No.6 Finkle Street. The shop sells everything from kitchen items to jewellery, but their range of Christmas accessories is a collection of traditional trinkets and adorable charms, including classic glass baubles (the red one is a Lene Bjerre glass glittering bauble) I also adore the small Knitted Santa and this stunning Stag head charm. Many of the products are also available on their website here. 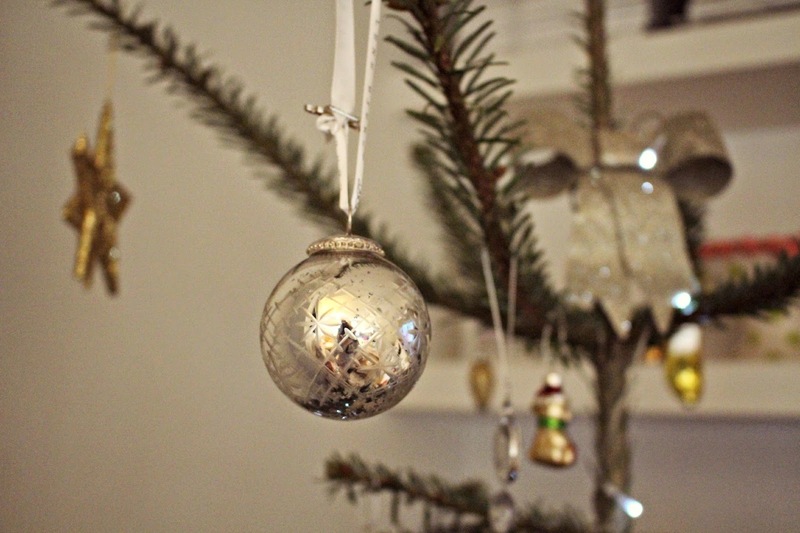 Something new on my tree this year is a selection of Beauty Baubles! I’ve come across some decorations which contain products which I already love and use frequently, all packaged up to look beautiful on the tree. 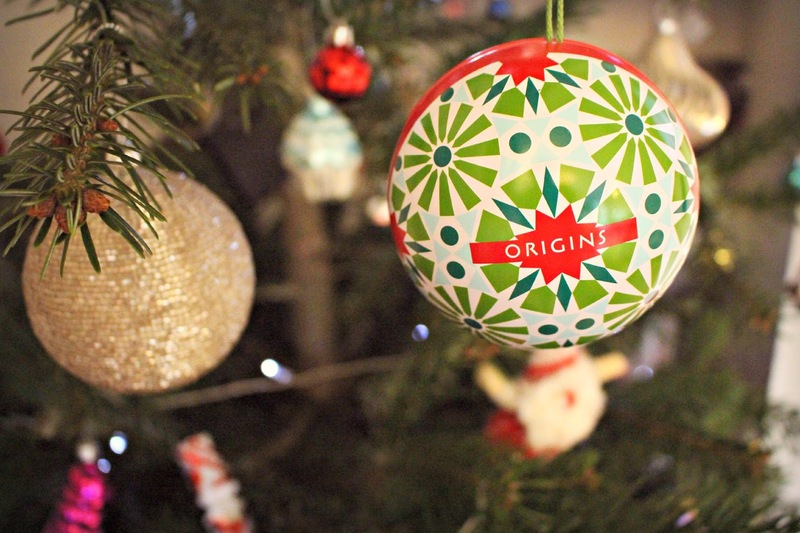 The Origins Christmas Bauble contains mini versions of their most popular products. Perfect for popping in your over over-night bag, there is a mini GinZing refreshing eye cream which brightens and depuffs. Also the Make a Difference Overnight hydrating repair cream with it’s divine fragrance and moisturising powers and the Drink Up Intensive Overnight mask– these will definitely be going in my travel makeup bag to rescue my skin after long flights. For a deeper cleanse there’s the Modern Friction exfoliator and also a mini of my favourite mask – the Clear Improvement Active charcoal mask. It’s £12.00 from Selfridges here. Philosophy have also bundled up minis of their best sellers in festive bauble form – the award winning Purity made simple 3-in-1 cleanser is a cult favourite – an ideal stocking filler or gift if you are visiting a friend – I’ve never met anyone who doesn’t get on well with this cleanser! 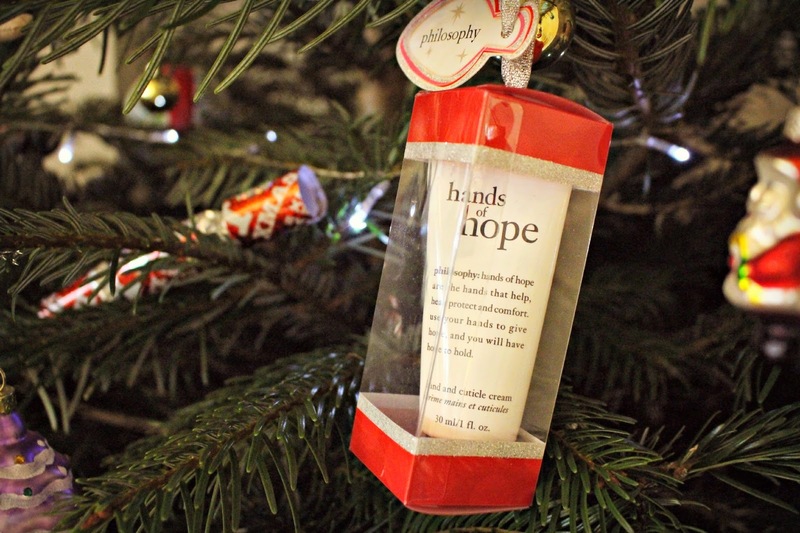 Another no brainer is their hands of hope hand cream, a handbag sized tube which moisturises and soothes dry hands – a cute little luxury gift to treat your family or friends. 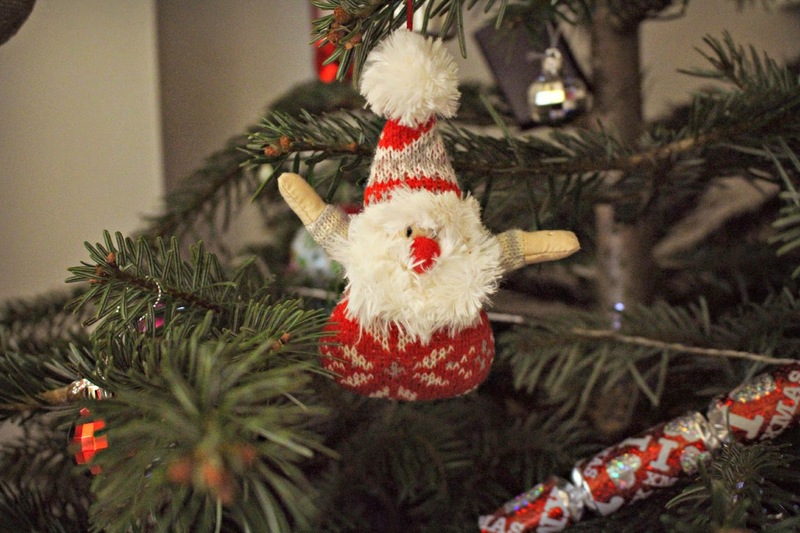 Each ornament is £9 available from the Philosophy website here. 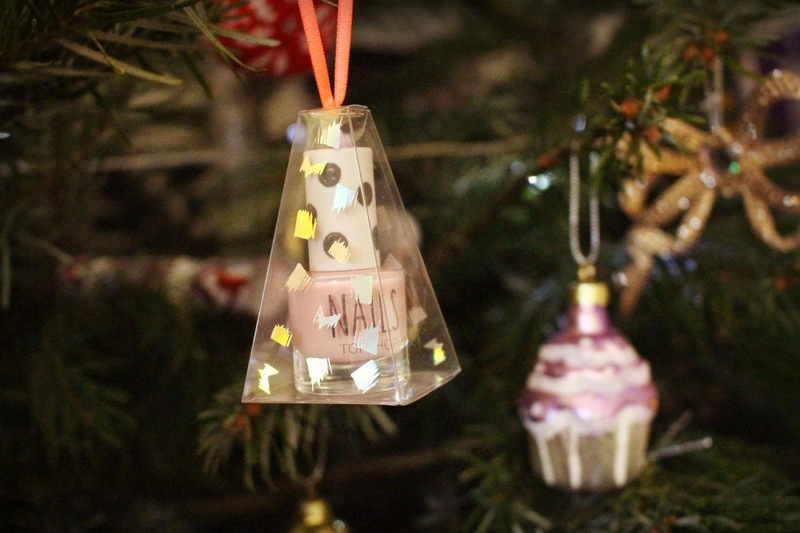 Even Topshop have created Christmas Beauty Baubles, a range of their pretty nail polishes are available in hanging boxes, £5 from the Topshop website. 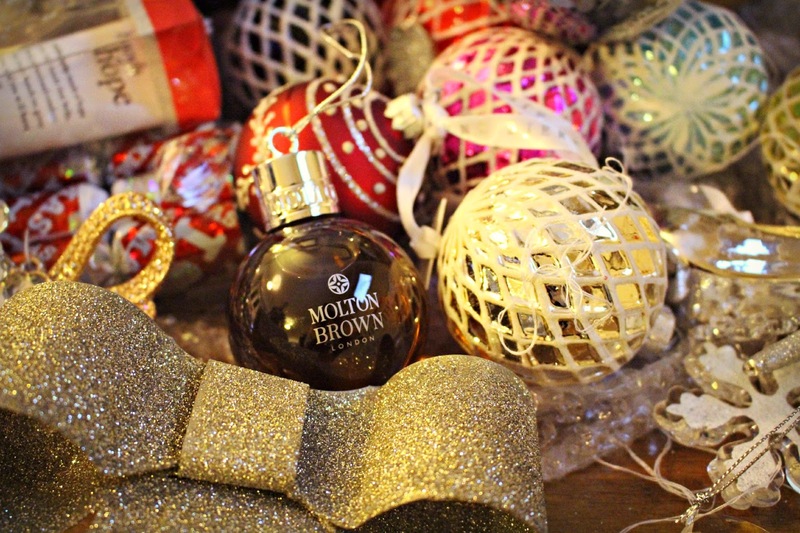 Finally, as you can see in the top picture, I discovered that Molton Brown create traditional looking baubles filled with luxurious shower gel / bath soak, to help you rewind after the mayhem of Christmas day, they are £10.00 from the Molton Brown website. And the overall look! The 6ft tree fits perfectly into the corner of our lounge, nestled in next to the fireplace and our Mulberry gnome, currently adorned in his Santa hat! I always love to get the biggest tree possible but since moving to London a couple of years ago, and having to rely on public transport, I’ve usually had to settle for a smaller tree. This year however, my tree was not only delivered to my door, but also put up by two lovely chaps from Pines and Needles. Their delivery service gives you a 4 hour time slot (I chose 6pm – 10pm) and you are also sent a text when your tree is nearby – so much easier than having to carry a tree down Clapham high street, then extricate it into position! If you visit the Pines and Needles website and order your tree, be sure to enter my code, ‘FASH14′ which will entitle you to a free gift! 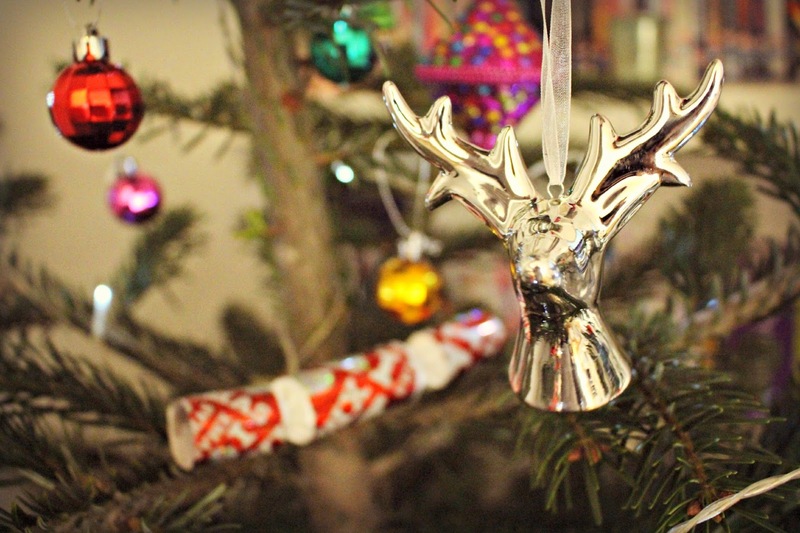 Have you got your Christmas Decorations up yet? 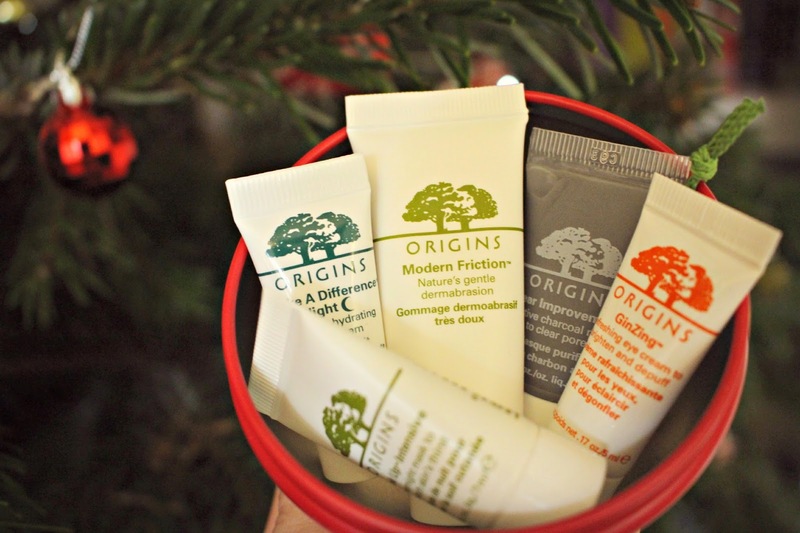 Next Post Christmas Gifts for Him!